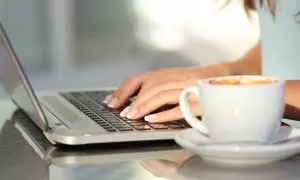 by Shannon Clark in Work from Home | 2 comments | Contains affiliate links. And she didn’t stop there. Last month, she earned $9,431 from home. When I heard the story of her journey to become a work at home mom, I couldn’t wait to share it with you! You can watch our video chat below where she shares her story; it runs about 18 minutes. My very favorite part of the interview? When she told me how wonderful it is to be able to lay her kids down for their naps and go to the park with them in the middle of the day! In case you’d rather read than watch, there’s a transcript of our conversation below. Ready to Get Paid to Write? If you’d love to learn how to become a freelance writer, but aren’t sure where to begin, be sure to check out Gina’s course 30 Days or Less to Freelance Writing Success. In it, she shares her secrets for how to get paid to write, even without any experience. I’m proud to be an affiliate for Gina’s awesome course. I love that she’s helping other moms create the lifestyle they dream of for their families. Affiliate links are included in this post. Shannon: Hi there! I’m here today with Gina Horkey and she has a really amazing story about how she’s been able to transition out of corporate America to work full time from home and earn a full time income, even with little ones at home. It’s a really great story. Welcome Gina. Do you want to fill us in on what the transition has been like over the last couple of years? Gina: Sure! Thanks for having me. I can’t take all the credit, I have an amazing husband whose name is Wade and he’s actually a stay at home dad. We have a daughter that will be 2 next week and a son that will be 4 in October. Shannon: Wow, that’s the same as my kids. They will be 2 and 4 in August. Gina: You know all the challenges and hopefully some of the joys as well right? Gina: We are actually working on potty training this week; which is interesting, with the little girl. And I wrote a post that will be coming out here soon on how potty training is just like pitching for freelance writing jobs! Anyways, so sharing my story. I was actually a financial advisor for almost a decade, about nine years. And my husband worked at a large retailer that was involved in construction supplies and he wasn’t super excited about his job anymore. He’d worked there for a long time, and we had started our family. Luckily we had been smart enough to take control of our finances and pay down debt and do those sorts of things. We had our son in daycare and we had our daughter on the way. We tried a couple of in home nannies, and they didn’t work out which was lucky for us because it prompted us to reexamine our own personal finances and see if we could really figure out how one of us could stay at home. So we did that, and we just never really thought it was possible because we bought into that societal expectation that both of us needed to have jobs in order to have a decent life style. Which isn’t necessarily true. We can survive off of one income. So we looked at that, Wade quit his job even though he carried all the benefits for the family because I was still self-employed at that time. He started staying home with our kids after I returned to work after our daughter was born. So that was about 2 years ago right now. Shannon: When you owned your business, were you working outside the home at that point? Gina: Yes, I worked with a larger financial planning practice, so some of what I did was support work to help their practice, and I had small client base myself. It was a great opportunity for me because it was 10 minutes from home, I worked with a really family oriented business, they were all family, they accepted me as family. So my office issue wasn’t a problem, it’s not like I hated where I worked, I just didn’t necessarily like what I did anymore. I just turned 31 when I thought about the next 30 years of my life. I didn’t really want to be talking about investing and all of the issues that come with the issues that being a financial planner and selling products in that way. I just started looking at my options and opportunities, and that was my first big career. I felt like if I made a change in the path that it would be like failing in a way, which was why I didn’t entertain other possibilities for a long time. Then I thought about my family and what I wanted to teach my children and the fact that I always liked being a writer. So I started poking around the internet, and I found that writing for the web doing freelance writing was actually a viable way to make a living. Shannon: Okay, so once you realized that that was the direction you wanted to go, how did you go from working full time and transition to now being able to write full time? That’s a big leap to say good bye to that stable job! Gina: Exactly! Even though I was self employed, the way we had it set up I had a regular paycheck so my income was very dependable at that time. A whole lot of hustle and grit would probably be the answer to that. So in April of 2014 I started looking into things, and I launched my website and blog in May. I took a course myself to figure out what the world was all about and I started networking with other people that were more successful than me. I was lucky enough to find an unpaid gig with The Huffington Post; so instant credibility, great samples for my portfolio, and I banked on the previous work experience and expertise that I had in personal finance because that’s one of the niches that I write in. Shannon: I imagine there were some nights in there that you were up in the middle of the night with your kids? Gina: Right! My daughter wasn’t even one yet and I was still nursing her. It was a lot! But it was important at the same time because I had to do something in order to change my circumstances; they weren’t going to change otherwise. Shannon: I know it makes a big difference having that support in your husband; he is on board with the plan. It’s not just you who’s going through those sacrifices; its him too! Yes, we definitely have made our goals, made our priorities for our lifestyle and when it gets hard it’s nice to have that support. Gina: Right! I couldn’t do it without him We are definitely a team when it comes to that. He is supportive of what I want to do and what I’m trying to create as far as a platform and a voice for my business and that is really nice to have. Shannon: So you said that you didn’t see yourself doing financial planning for another 30 years. Was that the main reason you decided to transition into something else? Or did you have a specific vision for what kind of lifestyle you guys wanted to live? How did that play into your decision? Gina: I think the overarching theme was just more freedom, flexibility, and control. Those were the things I was craving that my current position wasn’t going to be able to give me unless I worked really hard and bought into the practice, and fast forwarded like 5, 10 or 15 years. I didn’t know if I wanted to wait that long…our kids are little now! 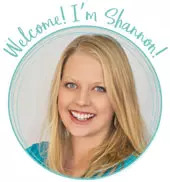 Shannon: Getting into more of the details of actually how to become a freelance writer…I know a lot of our listeners are really interested in the idea of working from home and sometimes specifically through freelance writing. Were there a lot of costs associated with getting started? I know you were conscious of your budget and your finances at that time. Something a lot of people run into as soon as they start looking at working from home online, they get hit with all these fees and companies wanting them to buy into something. Did you meet with that? Gina: Yes! So you totally could set up a business from scratch without really spending any money if you didn’t want to have your own website or blog or you wanted to have one posted on blogger or a free platform. So I invested $171 in the first couple of months; I can break it down to exactly what it was. $84 was hosting, $11 was for my URL, $50 for a course, and I subscribed to a paid job board right away which was another $20. I think that it’s a common myth that you need to spend money to make money. I don’t think that’s true. I definitely believe in the whole bootstrap your business. Yes, I invest in my business. Actually I’m toying with spending $500 on a LeadPages account right now which is a lot of money, right?! That would have been impossible a year ago, but it’s possible for me now. I think it’s important to do those things as long as they are smart, you think them out and it’s going to help you further build things in the long run. Does that help answer the questions? Shannon: Yes, that definitely does. That’s a great answer, specific! $171! I was the same way now with my blog. For the first several years it was never at that point something that I was trying to make a lot of money with. I started on the free platform and was always very careful anytime I spent money on it. Now that it’s growing I’m able to make those investments. And I did just sign up for LeadPages too and it’s been amazing. Starting out it’s true, you just really don’t have to make a huge investment in order to start earning an income. And that’s been my experience at least. It’s good encouragement to other moms to hear that I’m not the only one…you can do it too! Gina: Because I’ve gotten to the point where I’m making money and reinvesting in my business, I’m okay with paying people to help me to do things I don’t want to learn or take me a ton of time. I will spend money, I just weigh the costs and benefits of that as well. I’m not a super tax savvy person, so that’s one of the things I have to farm out. But that’s okay, I don’t want to spend 40 hours doing something that takes them 10 minutes to do. Shannon: Yes, its nice to be getting to that point. You mentioned you subscribed to some kind of thing to find paid posts? Gina: Yes, it was a paid freelance writing job board and I’m actually subscribed to 2 right now. Still the one I initially subscribed, which is Paid to Blog Jobs by Tom Uwer who writes the site Leaving Work Behind. I actually write on that site now too which is kinda fun. So what he and his assistant actually do is they go to all the free sources and they round up all the posts for that day and they put them all in one place. So instead of checking 10 or 20 websites, which I didn’t really have time to do when I was doing this in 2 hours before work, I paid $20 at the time ($30 per month now). I just clicked one place and thought ”are any of these applicable to me, should I be pitching for them?”, and that just saved me a lot of time in the beginning. Shannon: Okay that’s really good to know because you start to wonder which sites are reputable, which are really worth the money, so that’s great to know. Now I think this would be really fun. You share on your blog every month your income report. Can you share with us a little bit where you started, how fast it’s grown, and where you were last month? Gina: Sure! I started at $0, or negative, because I made those first small investments. My first paid month was either June or July of 2014 and I made $805. The second month I was already around $1500 and it steadily increased. Within 6 months of getting started (by October 2014) I was at $4000 which was a big point of arrival for me. It was my goal to make $3000 by the end of last year so I surpassed that and it was 2 months sooner than my goal, which is really cool! So last month I was somewhere over $7000. It’s comprised from a few different things, it’s not all freelance writing. Freelance writing is a portion of it, and I actually am a virtual assistant for 2 large webpreneurs, so I kinda consider myself a high-end assistant where I’m the front line of their business. That’s fun, I’ve learned a lot from them as well. I do some coaching, and then I have a course I sell, too. I don’t really make anything from affiliate sales at this point, but is something I’m open to if it’s an authentic opportunity to promote something I use. Shannon: Okay, that is really exciting because it’s good to hear that everybody starts at zero or even a little bit in the negative. You really, within the last year or so, have gone from that point to a very healthy full time income. So at what point in that process did you decide to leave your job and make that your full time family income? Gina: I had some discussions with my office. I started last year knowing something needed to change, but I started by investing in my current career at the time to try and make myself happier there rather than looking for something new. So I enrolled in the CFP program (a Certified Financial Planning program) and I really tried to prepare business plans to buy into the practice and do some different things. So we had started a conversation and were actually looking for someone to replace me as a support person. And then I figured out that wasn’t what I wanted. I asked them “what would happen if this isn’t the path I want to take?” They immediately said they will buy my clients from me so that was a weight off my shoulders and then allowed me to think about it. But they only gave me the weekend to make up my mind. And this was when I was just getting started, so this was a crazy time, and I was very nervous about it. But at the same time I felt like i was making the right decision, which was really good. Wade and I had some conversations about it because it’s such a big impact for our family. It was probably sooner rather than later, so sometime during the summer. We had worked out to find someone and I was going to train them in over a long period of time. My last day was either right before or right after Christmas last year. Shannon: Wow! Well, congratulations on that, that’s amazing! Gina: We have a good relationship so I contracted with them a little bit for the first few months of the year, and I enjoyed going in and working with them, but every time I left it also confirmed that I had made the right decision in starting my own business. That was helpful for me to know that this is the right path for me. I’m really curious: You are making this full time income; I assume you are working full time hours. But I know how when you are working from home, and you’re an entrepreneur, it’s really easy to work more than full time. About how many hours are working now? Gina: Its definitely at least 40. I typically wake up early, so I haven’t had to set an alarm since the end of last year. I find myself waking up at 5:30 am and my kids are sleeping until 7. So I’ll get up and work, because what else am I going to do? I start my day somewhere between 5:30 and 6:30 and then I’ll wrap up between 4 and 5. But during the day I go in for lunch with my family, and I lay my kids down for their nap, which is the best thing ever! Because it’s not going to last much longer, right?! Shannon: I hope those naps last! Gina: Yes! For both of our sakes! I’ve caught myself working on the weekends, of course, if something needed to get done or they are napping and I have nothing else to do. But on the other side of things, I took my daughter to the Dr. this morning; we took our kids to the park one day this week. So, there is also the other side of flexibility that comes with it too. Shannon: That’s just wonderful, so inspirational. Now that you found this success and this lifestyle that you wanted, you’re teaching other people to do the same thing and how to become a freelance writer. Can you tell us a little about that? Gina: Yes! I kept track of every that I did (because I’m really type A), and I wanted to know if my efforts were paying off. I would track pitches I sent out and my daily activities because I had to make such good use of the limited time I had. My family is a big priority to me so I didn’t want to be trading this time at the expense of them and not really get anywhere. I had a blueprint of sorts when I looked back on it after 4 or 6 months. I realized it could probably be a system to help other people get started in this business as well. I launched the product in December, and I’ve had almost 250 people go through it, and they love it. It’s really fun. I get to connect with them. One of the parts of my job I really liked before was being able to consult with clients and to meet with them about their goals, needs and challenges, and I get to do that now! But now it’s not about money; now its about their careers and their major goals they want for their lifestyle NOW, not just retirement. And that’s super exciting because that’s exactly the vision I have for our own family. Shannon: That’s great. We will share that with the readers so they can check that out! It was so wonderful talking. Thank you!! Gina: Absolutely, thank you for having me! Are you ready to get paid to write? 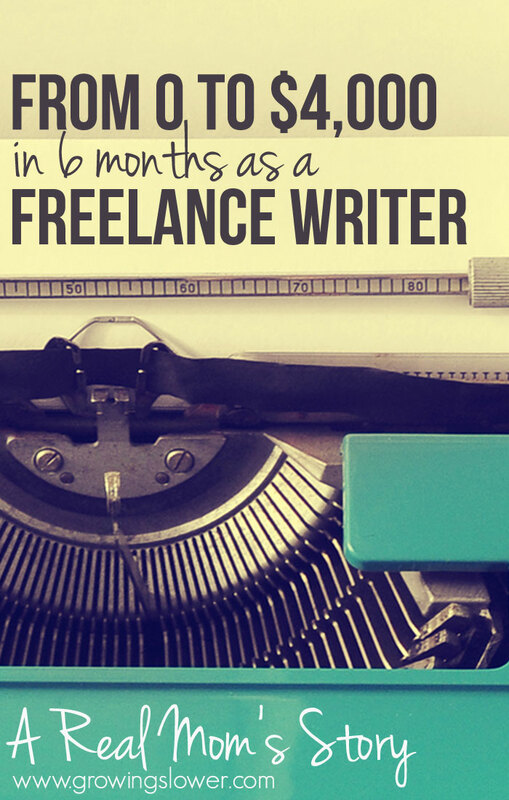 In just 6 months, Gina was making a full time income from home as a freelance writer. Now she wants to teach you to do it too! Check out her course 30 Days or Less to Freelance Writing Success to get started. Thank you for this post.. and even the video was a great addition.. there was totally alot of really good and practical insight to be found in this.. thank you.. I too am looking to start my journey as a freelance writer.. been a writer my whole life, figure I finally do some thing with it. Typical 9 to 5 is really hard for someone like me.